Even though the two most popular social networks to emerge in the past few years (Instagram and Pinterest) revolve around visual content, there isn't much data about what content performs best on these platforms. Because Instagram and Pinterest revolve around visual (not textual) content and their APIs are difficult to access, it can be challenging to research these networks. But just because something is challenging doesn't mean it's impossible. After diving into the data, I found eight actionable data points to help you use Instagram and Pinterest to their maximum in your inbound marketing efforts. If you want to see more exclusive data about visual content on social media, join me and special guest Sarah Evans (@PRsarahEvans) today at 2:00 p.m. ET for this week's #SciChat webinar and Twitter Chat. You can sign up here. Without any further ado, let's get to the data. 1) On Pinterest, experiment with tall, infographic-style pieces to get more engagement. On the web in general, tall images are easier to read than wide ones because it's much easier to scroll vertically than horizontally. 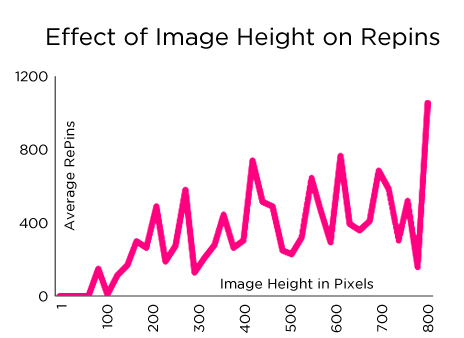 The same concept applies on Pinterest: Taller images -- those containing more "content" -- tend to get more repins than shorter images. 2) Try to keep your descriptions between 100 and 200 characters. Both Instagram and Pinterest allow creators to provide textual content such as descriptions or captions alongside their visual content. Including text is helpful for both search engines and humans by giving context for what's in the image. 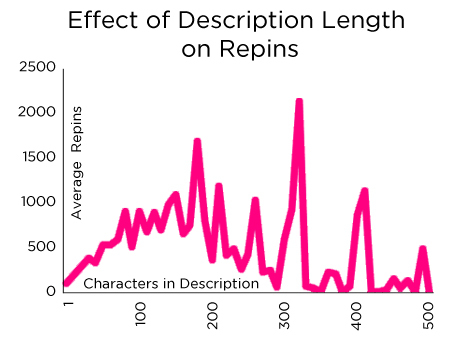 On Pinterest, the optimum description length is between 100 and 200 characters, around the same character count as a Tweet. 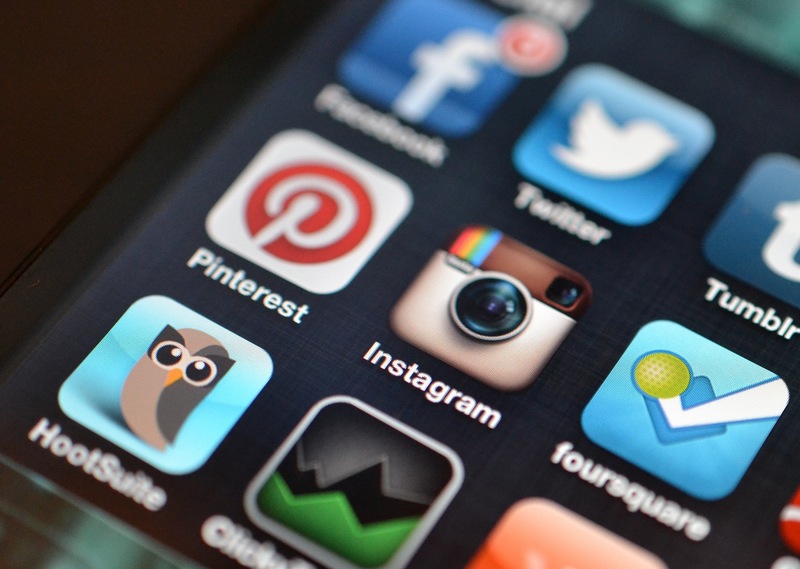 Even though people use Pinterest to browse pictures, short captions and descriptions help increase engagement. 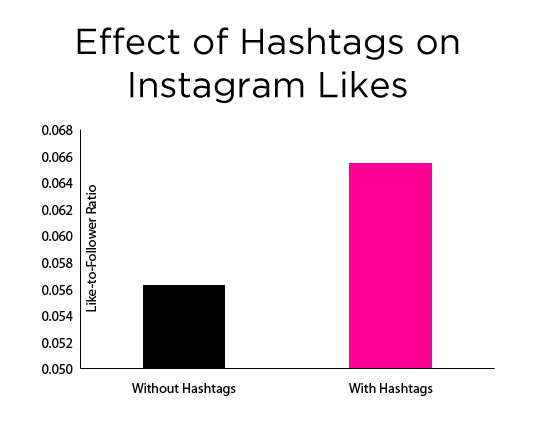 3) Use hashtags when posting on Instagram. On Instagram, a key non-visual feature is the ability to use hashtags in the text accompanying a photo. In fact, when I analyzed data from the site, I found that posts that included hashtags had a far higher like-to-follower ratio than posts that did not use hashtags. 4) Find a clever way to relate top-performing hashtags to your content. 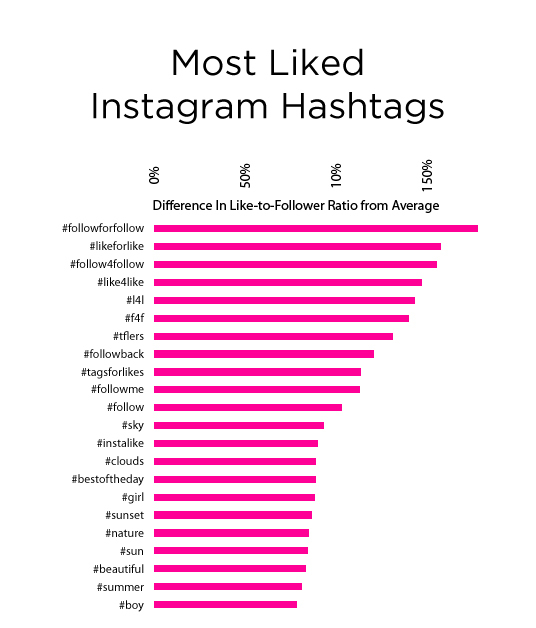 The list of most powerful hashtags on Instagram is led by reciprocal-behavior indicators: hashtags like “#FollowForFollow,” “#LikeForLike,” “#F4F,” and “#L4L.” These represent a symptom of the social aspect of the site, though it's not clear whether they lead to high quality followers. 5) Post images that appeal to everyone, strangers and friends alike. 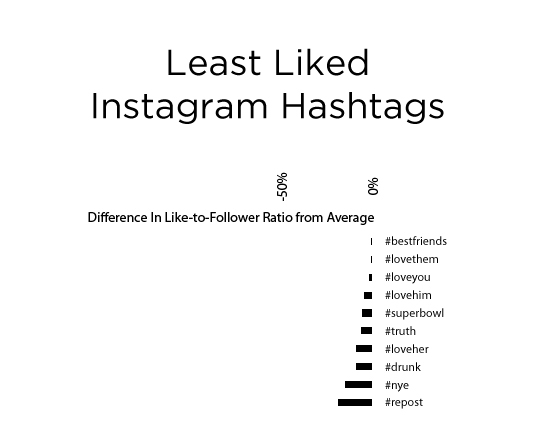 On the flip side of the hashtags coin, I also examined the least-liked hashtags on Instagram. This list is full of tags that indicate that a photo is relevant only to the person who took it and his or her close friends: “#BestFriends,” “#LoveHer,” and “#Drunk.” Imagine viewing an image taken by a stranger tagged with something like this -- chances are, it’s not going to be very interesting to you. On the other hand, a pretty sunset or interesting cloud can be attractive to anyone. 6) Experiment with making images showing something people can aspire to do, be, or create. When we turn our attention back to Pinterest and look at the most pinned words, we find words like “love,” “favorite,” and “like” that indicate a positive emotional attachment from the poster to the image posted. The rest of the list is full of words that indicate aspirational imagery, such as “home,” “DIY,” “inspiration,” and “recipes.” These words signify something that the poster wants to buy, do, emulate or create. 7) Think about the DIY activities that your audience may be interested in. If your goal is to produce viral visual content, experiment not only with food related images, but also with images that show and explain how to create things. For example, you could show visual instructions to make a recipe -- cooking is a DIY activity that almost everyone can (or does) do. 8) When creating visual content, think about which action you’d rather stimulate: discussion or sharing. When I compared like-rates to repin-rates, I found a strong, positive correlation. 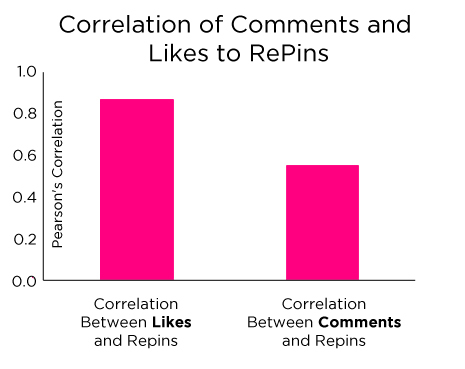 That means there is a powerful relationship between the “like” action and the repin action -- people are more likely to repin content they like. On the other hand, when I compared comments and repins, I found a much less powerful relationship. There isn’t as strong a correlation between the kinds of content people want to comment on and the kind of content they want to share with their friends. Controversial or disagreeable content makes me want to comment on it, but I’d likely hesitate before sharing it with my friends. Did any of this data surprise you? Share your thoughts with us in the comments!